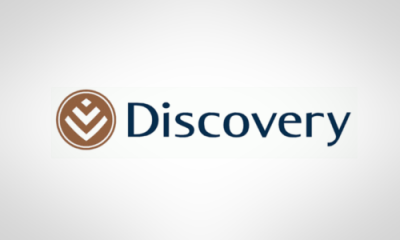 InsuranceFundi | Discovery Health Smart Plan | Is it really that smart? Discovery Health Smart Plan | Is it really that smart? Discovery Health have dropped a bomb. Not just any bomb – a Smart bomb. It’s called the Smart Plan and it’s going to change the way you think about medical aid. You’re on a basic hospital plan, right? And that’s not because you don’t want all the ‘other’ benefits (like being able to see a dentist from time to time), you simply can’t afford it. You used to be on a plan with a little bit of savings, but then came marriage so you downgraded to a hospital plan. Then came the first child, and you downgraded even further. Eventually, you ended up on one of those hospital plans where you had to use certain hospitals only. Let’s say you’re paying R2,829 a month right now for yourself, one adult, and a child. With a 7, 90% increase happening from next year, you’ll be paying R3,053 a month for the same thing. Let’s hope your employer offers an 8% increase! How about the brand new Smart Plan? How much does a doctor visit cost nowadays? I don’t know, R350 to R400 a consultation? And what about the prescription he or she writes? R500, maybe more? What if that same doctor visit only cost you R50? What if the 5 items on that prescription ended up only costing R50? And what if this all costed pretty much the same as what you’re currently paying for a basic hospital plan with no doctor visits included? R557 a month for each child dependant (Discovery Health charges for a maximum of 3 children). R3,053 a month is what it’s going to cost in this example. Now to the right of this are all the hospital plans on offer at Discovery Health – 5 in total – ranging from the top of the range Classic Core on the left to the Coastal Core on the far right. But notice the cost on the Classic Delta Core plan – R3,053 a month. That’s the same cost as the Smart Plan. Check out the hospital coverage section. Do you see the 200% next to the arrow? So what exactly does 200% mean? Discovery Health pays your in-hospital stay fully, so let’s ignore the actual hospital. The problems come in with the specialists who work on you while in hospital. These guys and girls don’t care about what Discovery Health is willing to pay; they charge at what they think their time’s worth. are trying to keep the cost down so that us poor suckers have a false sense of security believing that everything will get paid. So each scheme determines their own rate. Discovery Health refers to their rate as the Discovery Health rate (DHR). So there’s absolutely no difference between the Smart Plan and the Classic Delta Core in terms of cost and hospital benefits. In both cases, you must use selected hospitals. So where is the Smart Plan better? Check out the day-to-day expenses just below the hospital section. Once again we have those orange blocks. I’ve assumed 10 Doctor visits for the year at an average cost of R400 each. That’s R4,000 a year paid from your pocket if you’re on a hospital plan. But look at what happens if you’re on the Smart Plan. Each of those visits costs only R50. You get to see the Doctor 10 times a year for R500 while the guy on Classic Core pays that for just one visit! And then look at the cost of acute medicine just below that. Let’s assume your average prescription comes in at R500. Three of those every year, and you’re looking at R1,500 a year. But notice the cost on Smart Plan. On Smart Plan, you pay R10 per item prescribed. In our example, I used three items on each of the three prescriptions. That’s R90 for the year! Just be careful though…Discovery Health isn’t going to pay willy nilly for everything the doctor prescribes. They have a defined list of acute medicines which will qualify for this. Now go back up and look at the costs again. Even if you’re on Classic Core – or Essential Core – it just doesn’t make sense. Yes, you can go to any hospital, but so what…you pay less on Smart Plan, and you get to see Doctor on the Cheap as well? This one’s all about co-payments. The Smart Plan is made affordable by asking you to visit certain doctors and hospitals. Right off the bat, you can see that if you decide not to use a Smart Plan hospital, a R7,500 co-payment is charged. The same thing applies to the Delta hospitals (R6, 450) which I’ve also highlighted in the example. And your medical gap cover won’t fund this, so please be aware. Which hospitals are included on the Smart Plan? The interesting thing about the Coastal plan is, that if you don’t use one of the hospitals in the four coastal provinces, then Discovery Health only pays 70% of the bill. Remember this if you’re on the Coastal Core and Saver options. The Discovery MedXpress ordering service for delivery to your door. Bear in mind that the Core plans at Discovery Health don’t include prescription medicines at all. The only time you’ll actually get to use these options is for chronic medication. But check out the bit on MRI and CT scans. Notice that unless these scans happen as part of your admission, they aren’t paid on the core plans? And don’t think your medical gap cover will pay it either. They only cover authorised procedures where a benefit is offered by your medical scheme. At least the Smart Plan will pay a humble amount towards this. You can see that the Smart Plan offers everything the Core plans do. So would I recommend the Smart Plan? Someone who isn’t emotionally attached to their current doctor. Discovery Health says 90% of people in major metropolitan areas will have a Smart Plan doctor within 5 km of where they live. And the good thing is you get to review the service from the doctor on the app. No doctor wants 2 out of 5 stars, believe me! Someone willing to use the Smart Plan hospitals is a given. And finally, you need to have a smartphone with the Discovery Health app on it. How else are you going to book that appointment? i would like to know does this include dentistry as well? I am on keycare plus with 2 kids dependents what will i pay on Smart Plan for 2016 for the 3 of us? No dentists on Smart Plan. Remember it’s an upgrade option for those on hospital plans wanting to be able to see a doctor if need be. It’s also an option for those on the KeyCare range – especially those paying the most to be on KeyCare. The list is on the Discovery website. You would need to login and click on the “Find a healthcare professional” link which is found on the right. That will take you to their MAPS tool where you can complete your search. why no Life hospitals for western Cape – there are more these in the suburbs than Mediclinics? It’s possible they’re trying to discourage people from moving off the Coastal Saver option and onto the Smart Plan. Remember that the Coastal Saver is still an excellent choice for those of you who have “the mountain”. Hopefully someone from Discovery will see this and reply. In all likelihood, Discovery Health would apply a 12 month waiting period to the hip replacement. That’s because it’s a pre-existing condition. They would be allowed to impose the 12 waiting period (as well as a 3 month general waiting period) since you would be moving over to Discovery Health voluntarily. The same exclusion will also apply to your gap cover. By the way, gap cover is a necessity nowadays. I included a calculator in the article which you could download. Smart Plan would cost the two of you R2, 496 a month assuming there are no late joiner penalties. But speak to a health schemes accredited broker first. Only those hospitals on the list. You could call Discovery and ask about the availability of Smart Plan doctors in the Upington area? I would think there are a lot more doctors in the major metropolitan areas, willing to partner with Discovery Health on this one. I’m thinking of writing an article comparing the two plan types. Maybe next week this time? What is the differences between Key Plus Plan & the Smart Plan? KeyCare offers unlimited primary healthcare and basic dentistry depending on which of the KeyCare plans you’re on (KeyCare Plus and KeyCare Access). You must use a KeyCare networked doctor and a KeyCare networked hospital on these plans.Only medication prescribed by your KeyCare doctor, and which is on the Discovery medicine list, is paid for. Your cost is also determined by your income. So the more you earn, the more you pay to enjoy the same benefits as everyone else on KeyCare. Smart Plan is similar in that it allows you to see a doctor and hospital in the Smart Plan network. It covers in hospital expenses for specialists at 200% versus the 100% on KeyCare plans if you don’t use a KeyCare networked specialist. Smart Plan is aimed at those on hospital plans wanting to see the occasional doctor. It also makes sense for those paying the highest cost on the KeyCare range who will find the Smart Plan slightly cheaper. But remember that there is no basic dentistry or spectacle benefit on the Smart Plan. We are on essential comprehensive, would this help us as well? I notice that alot of the hospitals are Life hospitals, i have just been in one and cost me an arm and a leg plus the surgeons was all at private rates! Essential Comprehensive is on the other end of the scale compared to the Smart Plan. Essential Comprehensive only offers 100% of the Discovery Health Rate for in-hospital expenses which is why it’s cost you an arm and a leg. Most surgeons won’t charge at Discovery Health rates unless they have an agreement with Discovery. The solution to that problem in future is to have medical gap cover which could take that rate of coverage from 100% right up to 500%. The major benefit to the Essential Comprehensive plan is the day-to-day benefits. Once you’ve depleted your medical savings account, and breached your self-payment gap, you have unlimited coverage for day-to-day expenses (payable at the Discovery Health Rate of course!) going forward. The Smart Plan offers no savings account, and no unlimited day-to-day benefits once you’ve reached the above threshold benefit. If I am already on chronic medication how does this plan work? This plan covers your chronic medication in the same way. 27 chronic conditions are covered. You will need to get your medication at either Clicks, Dischem or MedXpress in order to avoid the 20% co-payment. Then there’s a co-payment of R7, 500 payable by yourself. DIscovery Health’s staff appear not to have been trained in the product as they are unable to answer questions over the telephone. + Why do they say that the gap cover will not cover the shortfall in payment. + Where could one view the list of medical practitioners that are sanctioned for the product? + In case of emergency, should you be admitted to a hospital that does not form part of the network, while you were for example when you are in a coma after an accident, what would you be entitled to in terms of the rules of this product? Acute medication is the opposite of chronic medication. It’s for an illness of short duration (such as the flu) while chronic is for an illness where there is no change in the condition. If you’re seeing a Smart Plan doctor then they would prescribe acute medication on the Discovery medicine list. Gap cover not covering the shortfall in payment. I’m assuming you’re talking about something for which you were admitted to hospital? Remember gap cover will only cover a shortfall when the procedure was authorised by your medical aid.For instance, if MRI scans aren’t paid for on your plan, then your gap cover company won’t pay it either. IF MRI scans are covered, but include a co-payment, then your gap cover will pay if they offer a co-payment benefit. If you register and log on to the Discovery website they have a tool called MAPS (Medical and Provider Search). I’m certain you’ll see a list of GP’s there in the new year. In emergencies, they will take you to the nearest hospital and stabilise you. The R7, 500 co-payment only applies to planned admissions. The type where you would need to call in for pre-authorisation from Discovery Health. The benefits look good but what about costs not covered? What about benefits like: pathology,x-rays,physiotherapy before and after Hospitalization? Are Specialists paid out of hospital. Is the R50 paiyable for tele doctor? How can he measure your blood pressure and do all the basics of a consultation over the smart phone? The video call is covered in full by Discovery. The video call is more suited to follow-up calls than for the actual examination.So instead of going in for the results, you schedule a video call with your doctor which saves you time and money. The Smart Plan is focused on offering people, who only require a hospital plan, the option of seeing a doctor within the network. Prior to Smart Plan this option did not exist. The aim is not to provide you with a full blown medical aid covering out of hospital specialists, x-rays, physiotherapy, etc. For that you would need a more comprehensive plan such as their Saver option. Remember that the costs of services you mention come out of your medical savings account anyway – something which doesn’t exist on the Smart Plan. What about Mpumalanga? No hospitals listed? List of Chronic medication covered? I am already a member of Discovery health and my Dental, and one of my essential chronic medication (Estrogen) are my only real health issues expenses, and the benefits are really not good enough. Currently I am told that the use of Estrogen is Hormone treatment which is not covered. Savings plan insufficient and do not cover day to day care in Winter when everybody has colds and Flue. Based on where you live I’d say that the Smart Plan isn’t for you. 27 chronic conditions are covered on the Smart Plan, none of which relate to HRT. You’d continue to pay for Estrogen from your pocket. What concerns me is your dental. Smart Plan is not going to cover this except for the in hospital and day clinic stuff. You would need to weigh up the costs of your current plan – and the savings it offers for next year – against that of the Smart Plan. If the savings are substantial on the Smart Plan, then there might be an argument to self-fund your day-to-day expenses for next year? The Smart Plan is ideal if most of your expenses are related to doctor visits – R50 versus R400 a consultation is a huge difference. But if it’s dental you want, then this ain’t the plan for you. It sounds good,but would like somebody to pgone me and explain the difference of my current Discovery medical aid. You’re welcome to pop us an email and we’ll assist. Use the contact us page on top. There’s the Glynnwood in Benoni, Roseacres in Germiston, and Clinton in Alberton. should I change to the smart plan, is there a hospital in George or Mosselbay which recognizes this medical aid plan. at present I am on coastal core. Kind regards Elsa Davids. No Smart Plan hospital in George. That means if you were to have a planned procedure done in hospital, you’d need to book in at Greenacres in PE. There’s also the question of whether any Smart Plan doctors are available in the George area. You would need to call Discovery Health and ask. On a personal note, where is most of your medical expenditure currently? If most of your expenses are doctor and medicine related, then Smart Plan might make sense. If it’s dental related then it wouldn’t. If you’re on the coastal core then I’m assuming neither of these is an issue since you’re prepared to pay out of your pocket. Coastal Saver is also a value for money option in your area.If Smart Plan doesn’t work for you, I’d recommend this. I’m married with one adult dependant. What would the permiums be per month. I am curently on Affinity Health plan. Neither of us have not seen doctor in the last 12 months. Affinity Health is medical insurance. They are not a medical aid scheme. Medical insurance offer stated benefits such as a fixed Rand amount paid for every day you spend in hospital. Medical aid provides more comprehensive cover. For instance, they must cover a list of prescribed minimum benefits and emergencies in full. You didn’t say how old you are, but your membership at Affinity will not count in your favour. If you’re older than 35 then medical aid schemes may impose late joiner penalties. Assuming you have no late joiner penalty, then you’d pay R2, 496 a month on the Smart Plan in 2016. Also, will there be any specialists that we can see in this Smart Plan out-of-hospital and do we also pay R50? No smart Network Hospitals in every province – big problem! If you stay in Northwest Province there no Network Hospitals available on this Smart Plan. So it not so Smart Plan. Its still a Smart Plan – just not a Smart Plan for you! They’ve only thrown in the doctor visits as a value add for anyone wanting something better than a straight forward hospital plan. If you’re older than 35 – and without medical aid – there’s late joiner penalties which need to be considered. These range from 15% to 75% over the normal cost. However, let’s assume no late joiner penalties. In 2016, the Smart Plan will cost R1, 397 monthly for the main member, R1, 099 monthly for the adult dependant, and R557 monthly per child. A grand total of R3, 610 per month. I don’t see any maternity benefits offered on the smart plan. Why is that? Smart plan is an alternative to a hospital only plan. While it would cover the cost of the hospital stay, it wouldn’t pay for the regular checkups required during pregnancy. I therefore wouldn’t recommend it to someone planning on having a baby. I would also like to know if you would recommend this Smart plan to someone that will be planning to a start a family in the near future? I did not see any maternity benefits but may have misread it. Please help. Hi Great Website. What would be the best plan in SA for a healthy 30 year old single male? Would it be the Discovey Smart Plan or is there something else out there? A hospital plan is all you’d need. That said, the Smart Plan is really a hospital plan on steroids. Clients I’ve spoken to say they’re pleasantly surprised, and that the Smart Plan doctor they saw is even better than their original one. I am currently on Key care, I am the the main member and have 1 dependent. My problem is we don’t really use the medical aid that much I would say I will have like 1 visit to a GP in a year. Please advice me if Smart Plan could be the right choice for me. Th Smart plan is a great choice and it’s actually cheaper than the KeyCare Plus plan for the higher income band. It is based on using a networked hospital and doctor much the same as KeyCare. However, you can’t upgrade your existing plan until January next year. Please tell me my wife is expecting a child what do we all get with the Smart plan ??? I’m almost at the Smart Plan article. Unfortunately you would need to call Discovery Health yourself. The article was written purely from an educational perspective. What you would pay depends on the plan you choose and whether she will have late joiner penalties. If she’s never been on medical aid then a penalty of up to 25% may be charged. Very informative and clearly written. Well done.